Boys want a mission to accomplish, because they are made to be challenged, to grow and succeed. Each morning we wake up ready for breakfast and each night we go to bed tired from the day’s adventure. In between we share meals, go to a short chapel time, participate in activities and play a big camp-wide game each night. 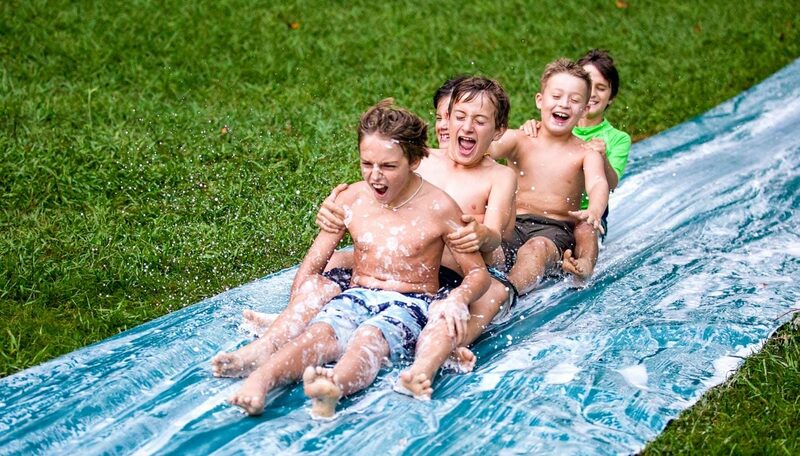 Anything can happen during these evening activities, from Sock War, to Pirate Ball, from the slip-n-slip shaving cream war to Commando, but each one is sure to be a blast. These will be days that start at breakfast, followed by a meaningful chapel service and cabin clean-up. Two scheduled activities are held before a tasty lunch and rest time. The afternoon is spent in two more scheduled activities and free time. Out of camp excursions in backpacking, canoeing, kayaking, rafting, water skiing, fly fishing and rock climbing also go out daily. One of the greatest parts of being a camper at Timberlake is the opportunity to discover different arenas in which you can excel. 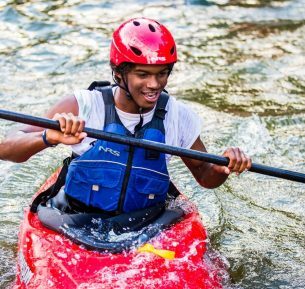 We offer a very goal-oriented program where the boys are able to try out a bunch of possible activities to see which ones might suit them. As they develop within these, they earn bronze, silver, or gold bars to recognize their growing proficiency. We are intentional to provide an extremely wide range of activities because we recognize that no two boys are alike, and we need a wide net in order to help nurture such a diverse range of personalities and abilities. It's a culture of inclusion, it's a culture of giving, it's a culture of servant leadership. Bars in activities aren’t the only way we recognize growth. Our Little Chief program is another place we recognize boys who are growing both in their leadership capacity, and in their ability to consider the needs of others. Our goal is for our boys to see the need to care for the whole camp community, not only themselves. It is also another opportunity for us to recognize and encourage their growth as individuals. 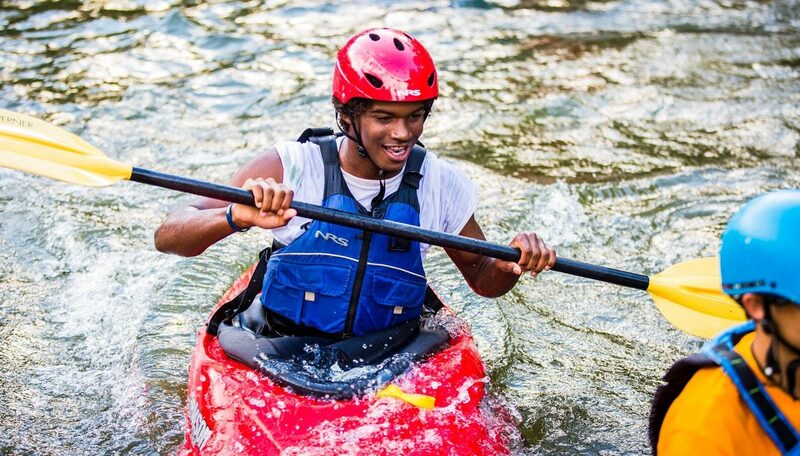 As counselors observe boys displaying patience and kindness towards their fellow campers, as well as the ability to help lead a group towards success, they earn marks towards promotions. Our Little Chief Ceremony happens up at the Council Ring once a week around a fire. The experience is a brief change of pace from the regular evening activities, but it is wonderful and benefits all involved immensely. 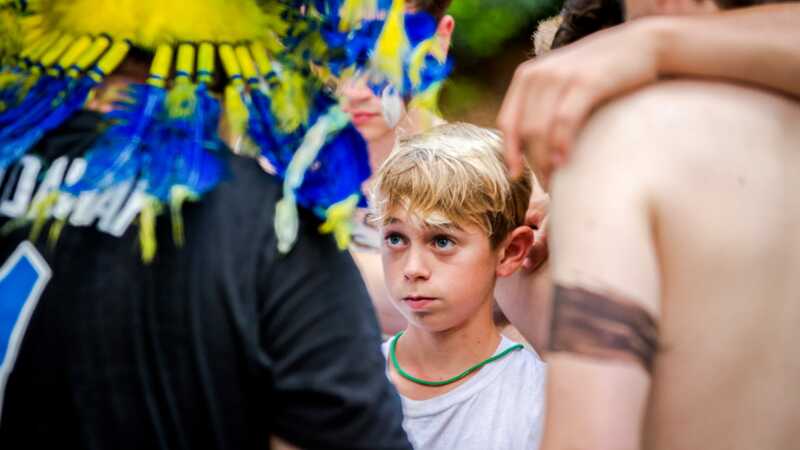 As a camper I was enthralled by the Little Chiefs. As a counselor, I think the system is even more important. 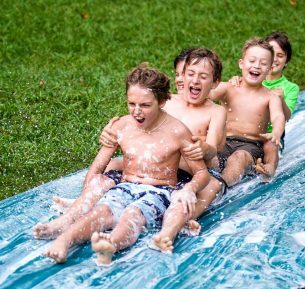 If just one boy in all my years at camp had come to me after a Little Chief ceremony, earnestly seeking to grow in the fruits of the spirit, it would be a good system. In truth, I speak to several a week. Little Chief brings children closer to God and teaches them more about what a strong leader should look like. Timberlake’s tribal system, at it’s core, is about community, and turning outsiders into insiders. It gives our boys an immediate sense of belonging from the moment they arrive at camp as returning campers welcome new boys to the tribe. The tribal system also allows the boys to develop a healthy sense of competition as they enjoy the camaraderie of playing their favorite games against and with their favorite friends. Finally, it gives us a great excuse to make an awful lot of noise, so much noise in fact that Timberlake tribal cheers have been heard high on the ridge of The Seven Sisters overlooking camp. Competition surrounds our boys today, but very rarely do they see healthy competition modeled. When boys compete with and against close friends at camp, they learn to fight hard and compete well while still caring for their opponent. Oh, and they also have a ton of fun.